The Greater Capital Area Association of Realtors has announced their endorsements in the County Council races. Following is their press release. 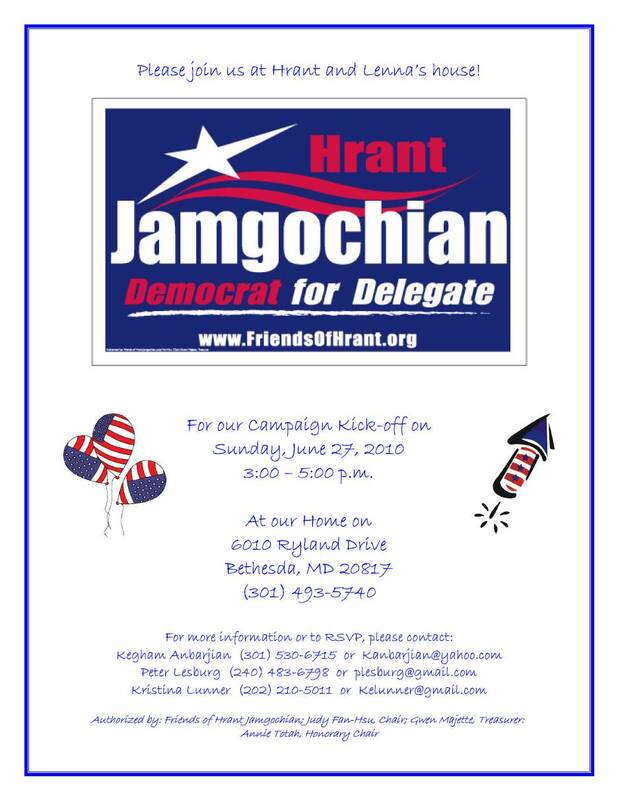 On June 28, 2010, the Greater Capital Area Association of REALTORS® (GCAAR) is officially announcing its endorsements for the Montgomery County Council and County Executive 2010 primary elections. In any field of candidates there is a wide array of personal and career experience. And GCAAR certainly believes that each of the candidates running bring such experience to the people for consideration and further demonstrate a commitment to the election process by giving up their time to tell others their views. With such strong candidates, there were many issues to consider during our discussions. However, after thorough debate and careful deliberation, GCAAR believes that the candidate’s listed below best share the REALTORS® vision and possesses a deep knowledge of the issues facing our members and the real estate industry. GCAAR feels confident that each of these candidates understands the issues of concern to the real estate community, homebuyers, sellers and property owners in Montgomery County. And that each of these candidates has a strong commitment to a good quality of life in Montgomery County. GCAAR is proud to officially announce these endorsements. GCAAR is the voice for REALTORS® in Washington, DC and Montgomery County, Maryland. Representing more than 8,500 real estate professionals in the Greater Capital Area, GCAAR provides numerous services vital to its members' daily business needs and works with lawmakers to ensure public policy that encourages home ownership. The Municipal and County Government Employees Organization (MCGEO), which represents most county employees other than police officers, fire fighters and school workers, has included the following six questions in its questionnaire for County Council candidates. The County Council cannot force the School Board to equitably share in the furloughs - this year or next. However, it is apparent to the Police Officers, Firefighters and MCGEO represented county employees that the council was collectively unable/unwilling to summon the political courage to cut the school budget deep enough to force the council to distribute equitable furloughs. While some councilmembers postured for a deeper cut (2%), it was never brought to a vote. In fact, some councilmembers seemed to turn weak in the knees when dealing with the Superintendent of schools. You all collectively sought the shelter of the “lowest common denominator” and cut only $24.4 million out of a $2-billion dollar budget. This lack of leadership resulted in the council willing to confine the furloughs to the only side of the budget which accounts for just 1/3 of the employees funded by it. This devalues our service and the services we provide. OUR MEMBERS ARE YOUR EMPLOYEES! • How do you justify this? 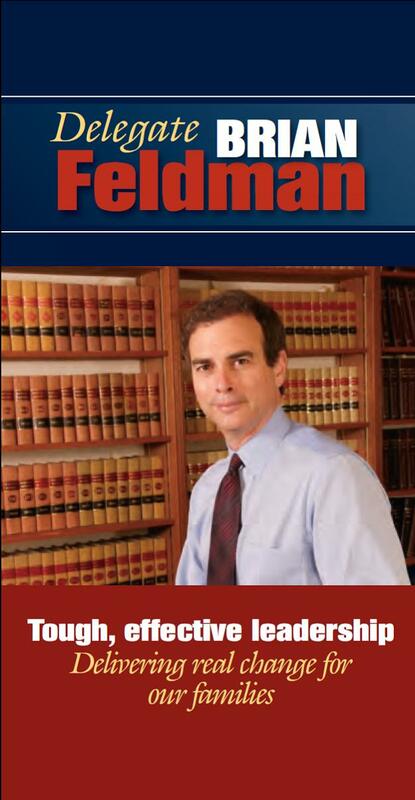 • Do you admit that Jerry Weast is a better negotiator than you? • What, if any, regrets do you have? • Can we expect the same response next year? • Would you cut the school budget? The County Council makes decisions to allocate resources that fund both the school board and county services. The school board currently gets 56-57% of the total funds allocated by the council. The current economic crisis is placing substantial pressure on the County budget which funds both County and School Board services. If the State mandated Maintenance of Effort (MOE) is not waived then the County side of the budget must absorb the vast majority of budget cuts, layoffs and furloughs. If the MOE is waived, then the resulting impact of cuts, especially number of furlough days could be more equitably distributed across both County government and School Board systems resulting in fewer furlough days per employee regardless of employer. Would you waive MOE in order to more equitably distribute the sacrifice across the employers? Would you temporarily waive MOE and disperse the pain more equitably? Montgomery County has a system where all school board members are elected county wide, although 5 must live in a district and 2 can live anywhere in the County. Do you favor electing school board members by single member districts? Do you think it was fair that only county employees were asked to do furloughs and the school system refused to do so? If endorsed by our Union, will you commit to writing a $4,000-$5,000 check to our PAC, like you would to MCEA, to assist our Union’s campaign on your behalf? The intent behind these questions is obvious. MCGEO sees the budget as a zero-sum game between the county government (which also includes the police and the fire fighters) and the schools (which have three other unions including the teachers, supervisors and support staff). MCGEO is apparently trying to lock in County Council candidates to support its priorities even at the direct expense of the schools. So if any candidates agree with MCGEO, they put their endorsements from the teachers and the other school unions at risk. (To be fair, the teachers advocate for their budget too, but their questionnaires are not so heavy-handed.) And looming over all of this is the Washington Post, which is pressuring candidates to reject all public employee union support. This is creating an impossible situation for any county-level politician who would like to deal reasonably, but not slavishly, with labor. We would not be surprised if more than one candidate refused to complete this questionnaire. Four members of SEIU Local 500's endorsement committee have issued the following response to Council At-Large candidate Becky Wagner's mass email on the union's endorsement decision. Hide the children, folks! As members of the SEIU Local 500 Committee on Political Empowerment, we were both surprised and disappointed by your public assault on the integrity of our endorsement process. You were wrong on your assumptions about our reasoning, and clearly out of touch in your assertion that you understand the interests of working people. Those of us who serve on this committee do so on a volunteer basis and we take our responsibilities very seriously. We bring decades of experience and knowledge about our members and the issues that matter to them. We do some of the most thankless, underappreciated work there is. Among other things, we cook food for children, mop floors and scrub toilets in school buildings, care for those with developmental disabilities and provide a safe environment to some of the most at risk children in this state. For the better than four decades our union has existed, we have struggled for appreciation for the work we do, and respect for who we are. When recommending candidates to our members, we strive to support those candidates who reflect that vision and are committed to being strong advocates on our behalf. We understand your disappointment in not receiving our endorsement. In announcing our decision to support candidates other than you, we didn’t utter a single word of disrespect for who you are or criticism for any of the positions you’ve taken. Yet, you choose to single us out for public ridicule. Can you name another organization that chose not to endorse you that you’ve done this to, besides us? Your statement was condescending and disrespectful to our membership. We expected better from someone who professed to be an advocate for working people – someone who claimed to be different but, in the end, apparently was no different at all. Thurs, July 1st at 9 p.m.
Fri-Sun, July 2nd-4th at 6:00 p.m.
and Tues, July 6th at 9:30 p.m. Political Pulse is on Montgomery Municipal Cable in Montgomery County. Former District 18 Delegate and Senator Sharon Grosfeld has endorsed Ariana Kelly for a District 16 House seat. Following is former Senator Grosfeld's statement. Ariana possesses the rare combination of talent, intelligence and compassion that inspires people to listen closely to her ideas and believe in her. She has demonstrated strong leadership in her past efforts to secure legislation important to Maryland families, and I am convinced that as a state delegate representing District 16, she will take her passion and negotiating skills to even greater heights. Ariana is exactly the person anyone would want to advocate for their interests. NOW says, "This is not a final list, and candidates will be added as they are endorsed." Fair enough. Most early endorsements are no-brainers, that is, people who are obvious picks because of their long records of support in and out of office. By that measure, why are so many of the county's most renowned female candidates off the list, like former NARAL staffers Cheryl Kagan and Ariana Kelly? Why was Duchy Trachtenberg, a former President of Maryland and MoCo NOW, not endorsed? And how about Marc Elrich, who worked with George Leventhal on the successful 2007 bill to protect domestic workers? Prince George's Fights Back Against Illegal Signs! OK, maybe not, but it sure seems that way. Here is his supporter list (which does not include institutions like MCEA and SEIU). Former County Executive Doug Duncan has endorsed Ilaya Hopkins, who is challenging incumbent Council Member Roger Berliner in Council District 1 (Bethesda, Chevy Chase, Potomac). Following is her press release. BETHESDA, MD – June 28, 2010 – Ilaya Hopkins, candidate for the District 1 seat on the Montgomery County Council, today announced that former Montgomery County Executive Doug Duncan endorsed her for the District 1 County Council seat. “It is with great pride and a sense of hope that I endorse Ilaya Hopkins for the Montgomery County Council District 1 seat,” Duncan said. “I have gotten to know Ilaya through her community work and her recent campaign. 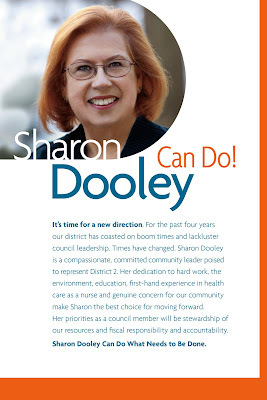 She is an exceptional leader, with a strong track record of success serving her community. Now more than ever, we need leaders who will focus on the real challenges Montgomery County is now facing – exploding budget deficits, over capacity in schools, choked roads and fleeing businesses. Ilaya has the courage and vision we need to make the tough decisions that will once again put Montgomery County back on track and provide the quality of life we deserve,” said Duncan. Doug Duncan served as Montgomery County Executive from 1994-2006. During his tenure, Duncan improved educational excellence, strengthened environmental protections, fought poverty and urban blight, and positioned Montgomery County as an international biotechnology leader. Among his many accomplishments, Duncan invested in education to reduce class sizes, hire more teachers and provide all-day kindergarten. Under Duncan, Montgomery high schools consistently ranked in the nation’s top three percent. His administration preserved more farmland and open space than any other county in the nation and invested in mass transit to relieve traffic congestion and improve air quality. He led efforts to invest $2 billion in public and private sector funds that transformed Silver Spring into a model of smart growth and urban development. Under his leadership, 85,000 jobs were created and Montgomery County enjoyed the lowest unemployment in the state. Hopkins serves on the Base Realignment and Closure (BRAC) Implementation Committee, the Western Montgomery County Citizens Advisory Board where she co-chairs the Quality of Life committee, and is a board member of Bethesda Green, a public-private partnership to promote a healthy economy and sustainable living practices. She chaired the Coalition of Military Medical Center Neighbors, which has members who represent 10,000 people who live, work, attend school and do business in the vicinity of the Medical Center Metro, home to the new Walter Reed National Medical Military Center in Bethesda. She is the immediate past president of the East Bethesda Citizens Association, a neighborhood group of 1,200 houses adjacent to the Bethesda Central Business District between East West Highway and Jones Bridge Road. She is a graduate of Leadership Montgomery, active in the Rosemary Hills Primary and North Chevy Chase Elementary Schools PTAs and is a member of Montgomery Women. She lives in Bethesda with her husband and two sons. To learn more about Ilaya, her position on the issues and campaign activities visit www.ilayahopkins.com. You can follow Ilaya on Twitter at http://twitter.com/ilayahopkins and Facebook at www.facebook.com/ilayahopkins. Council at-large candidate Becky Wagner just sent out a mass email blaming her non-endorsement by SEIU Local 500 on her support for privatization. This comes in the context of her past opposition to the county's living wage law. Taken together, these two positions suggest a willingness to contract out county services to workers paid as low as the minimum wage. MCGEO, which is just as opposed to privatization as is SEIU, contributed $3,000 to Wagner's campaign last November. What will they think? Following is Wagner's mass email. I am a little surprised at how easy it would be to tell everyone just what they want to hear. As I sit through interviews with various unions and interest groups, it is clear that telling the truth often means an endorsement may not follow. I received the call last week that I did not get SEIU Local 500’s endorsement. They are endorsing other at-large candidates. There is some irony in not being endorsed by this service workers’ union. Throughout my professional career I've been a consistent supporter of workers and their rights. My dad was a fireman and an engineer for the railroad (yes, a union man) and my mom worked as a library aide. Neither of them had the privilege of a college education, which is why they worked constantly to assure that all six of their children went to college. I knew my interview would not go well when the first question, framed as “the only question that matters,” was about my response to the question of privatization. I told the truth about the privatization question. My nonprofit organization, Interfaith Works, competes for and wins contracts and provides services to the most vulnerable in the County. We have a 5% overhead. As a nonprofit provider of social services, I would be dishonest to say I oppose the privatizing of public services when in fact we hold competitively bid contracts to provide social services on behalf of the county. In some cases, direct service nonprofits are better suited to serve the community as we are more flexible, identify trends more quickly and often have a closer understanding of community need, specifically regarding ethnic, minority and low income communities. The interview committee didn't love that answer. I have the courage to tell the truth, regardless of the cost. Equality Maryland released their early endorsements today. A complete list and some highlights below the fold. In District 18, EM has endorsed four candidates for delegate: incumbents Al Carr, Ana Sol Gutierrez, and Jeff Waldstreicher as well as challenger and EM Board Member Dana Bayer. Next, in District 39, EM endorsed incumbent Sen. Nancy King over her challenger, Del. 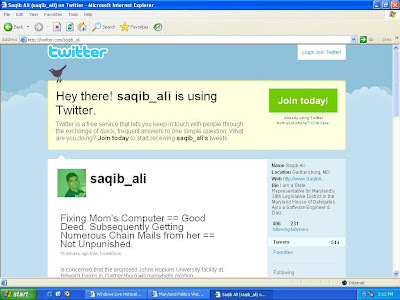 Saqib Ali. In both the delegate race in District 18 and the senate contest in District 39, the challengers have attempted to position themselves as stronger on LGBT rights and EM's endorsement of the incumbents undercuts this theme. In any case, it's a positive sign that candidates now position themselves as more liberal on this; times have changed. Meanwhile, in District 19, EM has not yet endorsed Bonnie Cullison--an openly lesbian candidate for the House of Delegates--though it did endorse incumbent Ben Kramer. For now, EM is staying out of the hot Senate race in that district. Who else but Cheryl Kagan would bring in a nationally recognized folk singer from Delaware for one of her fundraisers? Following is his press release. Government reform activist Michael Sriqui today announced his candidacy for the Maryland House of Delegates from the Bethesda-anchored 16th District. One of the district’s three seats in the House is open following the April resignation of Delegate Bill Bronrott. Sriqui, a Bethesda native and a graduate of Walt Whitman High School, Georgetown University’s School of Foreign Service and the London School Economics, has spent the last month meeting with residents and speaking to neighborhood associations. “People remain nervous about the economy,” he said. “With the budget stretched so thin, they want leadership that’s willing to put the public interest first.” He said that elected leaders throughout Maryland had made too many promises they couldn’t keep when the recession hit. “People begin to feel our democracy isn’t representative when too few interests have too much sway,” he said. Before running for Delegate, Sriqui served as Vice President of Common Cause, a non-partisan, non-profit advocacy that works to enhance citizen engagement in politics and hold elected officials accountable to the public interest. He has directed political campaigns in Rhode Island and Massachusetts, and was a research aide to former National Security Advisor Zbigniew Brzezinski in 2001. Sriqui, whose father is of Moroccan Jewish origin, is a member of Magen David Sephardic Congregation in North Bethesda. 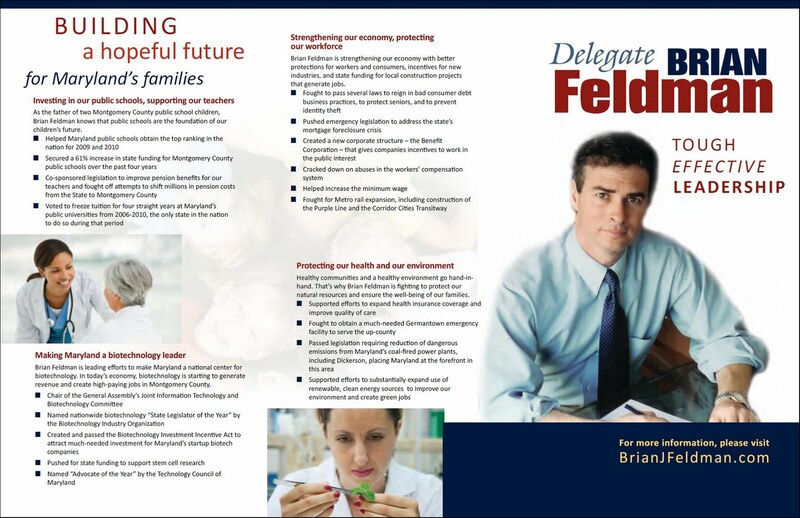 2010 marks the first election since 1998 that voters in District 16 will directly elect a new Delegate. All three members of the current delegation were originally appointed by the Montgomery County Democratic Central Committee to fill vacancies per the Maryland Constitution. At-Large County Council Member Duchy Trachtenberg has scheduled her campaign kickoff for the Strathmore Mansion in Rockville on Tuesday, June 29. Following is her announcement. Parking is available on-site at the Mansion or in the Grosvenor/Strathmore metro lot (corner of Tuckerman/Rock Pike). Location is metro and handicapped accessible. I am a proud, young(ish) Democrat. I have given endless hours and more money than my wife is comfortable with in support of young candidates. My first piece written for MPW was about the generational shift in the Montgomery County Delegation between 2005 and 2007. But lately I have spent some time pondering if there is such a thing as being too young for elective office. One of the candidates in the Republican primary for Comptroller, Brendan Madigan, is 18 years old and about to start his senior year of high school. Kyle Lierman, a Delegate candidate in District 16, is 23 years old. Scott Goldberg, another District 16 challenger, is 27 years old. Eric Luedtke, District 14 Delegate candidate, is 28 years old. Does any of this matter? 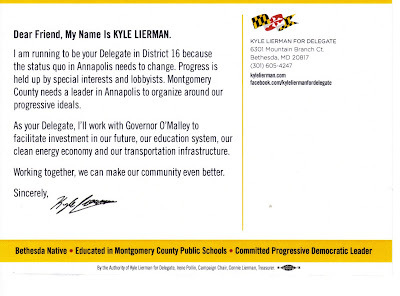 Both Lierman and Goldberg cite to the same Maryland leaders who held elective office early. Ben Cardin was elected to the Maryland House of Delegates when he was just 24 and became Speaker at 35. Steny Hoyer was elected to the State Senate at 27 and was the youngest Senate President at age 35. Others have also been young. Martin O’Malley was in his late 20s when he was elected to the Baltimore City Council and mid-30s when he rose to Mayor. Jeff Waldstreicher was just 26 when he was elected to the House of Delegates. Jeannie Haddaway from District 37B on the Eastern Shore was 26 when she entered the House. J.B. Jennings from District 7 in Baltimore and Harford Counties was 28 when he was elected to the House of Delegates in 2002. The Maryland Constitution sets a minimum age for the House of Delegates and Senate at 21 and 25 respectively. Interestingly, it does not set an age for Comptroller but it does require the Governor and Lieutenant Governor to be at least thirty. 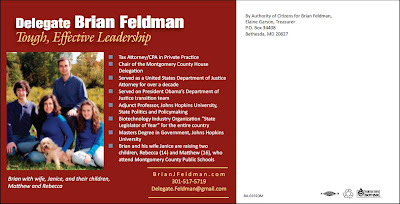 There is no minimum age requirement for Attorney General, but an AG does have to have practiced law in Maryland for ten years prior to their election which will boost the age of any candidate. Of course, it is not the age that matters at all but the experience and judgment. John McCain demonstrated nicely that you can be a grizzled old man and still lack the latter quality. During the 2008 primary, Barack Obama was regularly compared to John F. Kennedy. Obama was actually a bit older. He was 46 during the primaries, the same age Kennedy was when he was assassinated almost three years through his term. In fact, Obama was also older than Bill Clinton was when he took office. Obama’s problem was not his age, it was convincing folks he had the experience and judgment necessary to be President. To briefly compare records, Kennedy was a war veteran, three term House member, and serving his second Senate term when he ran. Bill Clinton had been Arkansas Attorney General and Governor for twelve years. In my own view, Obama never quite showed he had the experience people commonly look for in president, but he did a good job showing he had the judgment running a disciplined campaign and demonstrating knowledge and wisdom on issues. That is what young candidates need to do. They need to share their story and explain what they have done in their lives thus far to prepare them and demonstrate they have the good judgment to serve. Outside of the limits set by the Maryland Constitution, there is no age requirement and candidates should run when they feel they are ready. Then it will be up to the voters to decide if the candidate has assessed themselves appropriately. Full Disclosure, I have donated to Eric Luedtke. Delegate Jeff Waldstreicher (D-18) has endorsed former NARAL Pro-Choice Maryland Executive Director Ariana Kelly for Delegate in District 16. Following is Delegate Waldstreicher's statement. It is with unbridled enthusiasm that I endorse Ariana Kelly, Democrat for state Delegate. Ariana and I have a strong personal friendship developed over many years, so I’ve seen up-close as she’s fought to improve the lives of Maryland families. It would be an honor to serve with her in the House of Delegates. Born and raised right here in Montgomery County, Ariana is a working mom with two kids who lives in Bethesda. When I served as Chairman of NARAL Pro-Choice Maryland, I watched as Ariana worked tirelessly to advance the cause of women’s rights and social justice. I know she’s brought that same commitment to environmental issues in her current position. She’s not just a reliable vote, she’s a champion for progressive policy. As a parent myself, I’m also excited that Ariana joins Senator Frosh and Delegates Lee and Frick in being recommended by Montgomery County’s teachers. That’s no accident; Ariana’s commitment to education is unimpeachable. She supports smaller class sizes, fair teacher pay, and the elimination of portable classrooms. As I saw at NARAL, Ariana is a fiscal hawk, so she knows we must accomplish all this while living within our means and balancing our budget. Finally, Ariana is simply a wonderful person. She has a diplomatic, collegial disposition that wins allies. She is loyal to her values, but more importantly, she is loyal to her friends. Ariana will undoubtedly bring a level of experience and maturity that is sorely lacking in Annapolis. I can’t wait to serve with Ariana Kelly. 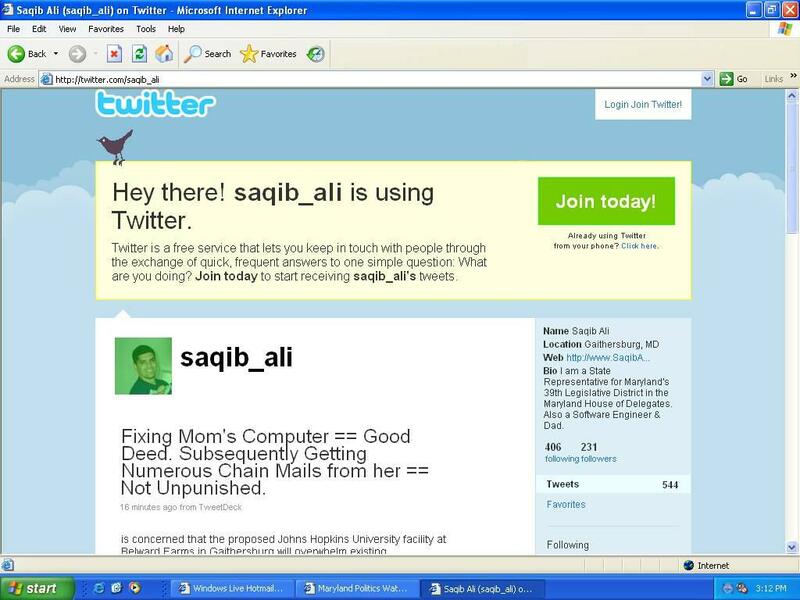 We took a screenshot of this when Delegate Saqib Ali (D-39) put this up on Twitter last fall and promptly forgot about it. But that was a disservice to our readers since it proves yet again that Ali is one of the state's funniest politicians. Following is her press release. DARNESTOWN, Md. – Montgomery County Democratic Central Committee’s At-Large Member, Aruna Miller, has declared her candidacy for Montgomery County State Delegate representing District 15. Miller is a transportation engineer who has over 20 years of experience promoting and implementing safe multi-modal access that is convenient for all users— pedestrians, bicyclists, motorists and transit riders of all ages and abilities. 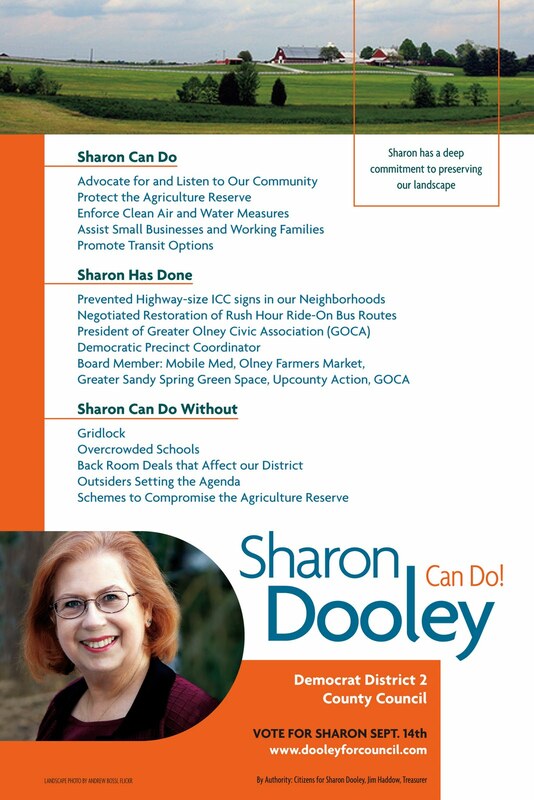 Working to make Maryland and Montgomery County a more commutable and livable community is one of the cornerstones of her campaign. "I have spent 20 years, working to enhance safe access for our residents to get to work, school, friends and recreation. Transportation is vital for the state's economic and social health and in improving the quality of life for Maryland residents.” said Miller. Miller also serves on the Board of Directors for the Montgomery County Public Schools (MCPS) Educational Foundation, Inc which provides scholarships for MCPS students, academic-enriching opportunities for students/staff and grants to schools. Since its inception, the Foundation has awarded over 1 million dollars in scholarships in addition to over $900,000 in grants. ”Education accessibility is paramount, the more educated our population the less reliance on social services, the more we attract businesses, overall it’s a net gain to the community for every dollar invested. During these fiscally challenging times, it’s important now more than ever that we continue to invest in our future and not consent to short-term economic pressures.” says Miller. Miller believes that Montgomery County will lead the state in the economic recovery with leadership that supports pro-economic tax policies. Miller’s Campaign Chair is the Hon. Esther P. Gelman who was the Commissioner of the MNCPPC (1970-1974) and was elected to the Montgomery County Council (1974-1986). Aruna Miller’s campaign kickoff will be announced shortly and include several key community leaders. Several months ago Marc Korman provided a post to MPW referencing the development of a new organization in Montgomery County, aimed at re-engaging county residents and giving them a tool for bringing fresh ideas, perspectives, and solutions to our elected County officials. I’d like to finally introduce the organization he was referring to, the Citizens League of Montgomery County. The Citizens League of Montgomery County (CLMC) is comprised of individuals, or ‘Member Citizens’. We feel that your individual perspective and ideas are important. After all, ideas begin with one individual. Seeing an idea to fruition in Montgomery County, as in many places, is a long and daunting process for any individual. The CLMC was formed to give that individual, you, a new course. For those who care about positively participating in the development of policies that will shape our County for decades to come, we are offering a vehicle for you to get involved on your terms. Using technology to its fullest potential to reach untapped pockets of activism in the County, CLMC hopes to facilitate the civic process for thousands of County residents. Our collective strength will help influence County leaders towards balanced, common good solutions. We are not ‘pro’ or ‘anti’, right or left, but rather we seek to help individuals find that elusive third option, and bring it to the surface. The Board of CLMC is made up of individuals from all walks that believe in this and are looking to you and your guidance. We have gathered a Board of County leaders to help guide the formation of CLMC and build membership: Casey Anderson, Jaclyn Lichter, Henry Hailstock, Rich Parsons, Oscar Ramirez, Chad Salganick, Barnaby Zall and myself. Join the League today and become a Member Citizen. Being a member of the League is free and open to everyone (although we do accept donations – from County residents and capped off annually to keep this a true grassroots organization). We’re excited about the potential ideas every individual in this County has to offer! So please visit www.mococitizens.org and join today. Consider submitting an idea or perhaps comment on some of the ideas that have already been posted. Add us on Facebook as well. This organization will be successful with YOUR participation. This is your think tank and we have significant challenges ahead of us in this County. So let’s get to work! From the Washington Grove Town Council meeting on November 23, 2009. From the Kojo Nnamdi Show. Thurs, June 24th at 9:00 p.m.
Tues, June 29th, at 9:30 p.m.
"Political Pulse" is on Montgomery Municipal Cable in Montgomery County. Of course, they are from Alabama. This is Republican Dale Peterson, who was running in the primary for Agriculture Commissioner. Peterson lost, but cut this video endorsing the Republican who beat him. Note how he fires a rifle shot at a miscreant stealing a campaign sign. Now why can't Maryland politicians let it rip like this? 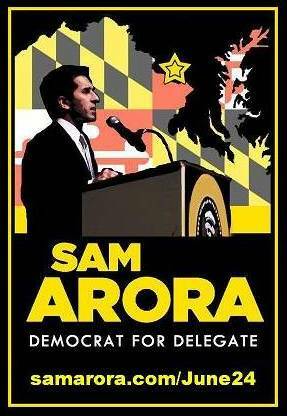 Here's one of the more creative campaign tactics of 2010: District 19 Delegate candidate Sam Arora is selling artwork of himself! For $50 contributed here, you can frame this up in your living room. What are you waiting for, ladies? Shortly after SEIU's Maryland and D.C. State Council made endorsements for state legislators, SEIU Local 500 (which represents school support staff and adjunct professors) released their county office endorsement list. Many of their incumbent endorsements were expected. The newsworthy endorsements are incumbent Roger Berliner in District 1 (who is batting one thousand on this measure), Craig Rice in District 2 and Hans Riemer, who is challenging at-large. Incumbent at-large member Nancy Floreen also earned an endorsement. Following is their press release. GAITHERSBURG, MD (June 22) – SEIU Local 500 announced its endorsements of candidates for the Montgomery County Council and Montgomery County Board of Education today. For election to the Board of Education, SEIU Local 500 has endorsed Patricia O'Neill, Judy Docca, Mike Durso, and Shirley Brandman. SEIU Local 500 members chose to endorse Roger Berliner, Craig Rice, Nancy Navarro, and Valerie Ervin in their respective district-wide county council races. In the at-large county council race, Local 500 endorses incumbents Marc Elrich, Nancy Floreen, and George Leventhal, and challenger Hans Riemer. Service Employees International Union Local 500 represents 18,000 women and men working in child care and education, and in service to communities and the public interest in Maryland and Washington, D.C. The Service Employees International Union (SEIU) Maryland and D.C. State Council has announced its endorsements for state legislators. The big news in MoCo is that SEIU is supporting two Senate challengers: Karen Montgomery in District 14 and Cheryl Kagan in District 17. Following is their complete list. Following is the press release from Council Member Roger Berliner's campaign. "As I’ve traveled around Montgomery County, I’ve consistently heard three things about Roger – he’s a tireless advocate for his constituents, he knows how to build consensus on the serious issues facing the county, and he has a clear vision for a sustainable future. District 1 is one of the most important economic engines of our great state, and Roger's proven leadership creating good green jobs and growing our tax base is more important than ever." The addition of Governor O’Malley’s endorsement underscores the value many elected officials see in Berliner’s continued presence on the Council. As Delegate Brian Feldman, the Chair of the County’s Delegation to Annapolis, pointed out when he endorsed Berliner in April, “teamwork” and strong, trusted relationships matter in doing the business of District 1, the County, and the State – especially in these trying economic times. Berliner’s campaign had previously announced more than 150 endorsements of local and elected leaders in January, a list which included United States Senator Ben Cardin, Attorney General Doug Gansler, and State Comptroller Peter Franchot. Last month, the incumbent councilmember expanded that list when he received the endorsements of the District 15, District 16 and District 18 delegations. Additionally, Berliner’s campaign announced the endorsements of the County Executive, Ike Leggett, and five of Berliner’s colleagues on the council, including Council members Andrews, Elrich, Leventhal, Navarro and Trachtenberg. 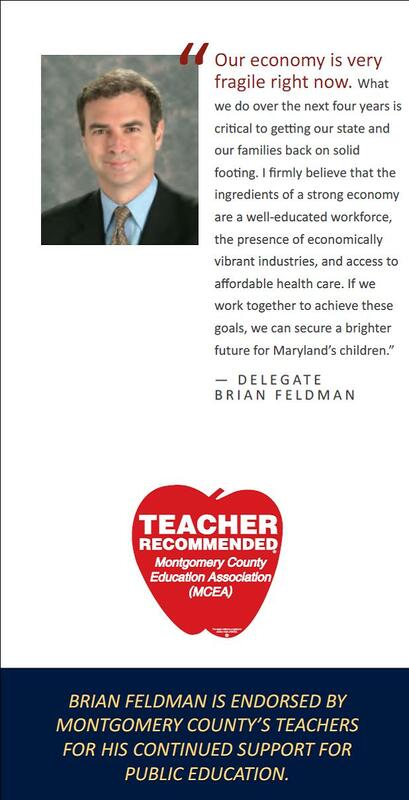 Berliner has also been endorsed by the Montgomery County Education Association (the “Apple Ballot”) and the Montgomery County Sierra Club. The primary election is scheduled to take place Tuesday, September 14, 2010. Roger Berliner, a life-long Democrat, was first elected to the Montgomery County Council in November 2006 when he defeated the incumbent Republican by 12 percentage points. He currently serves as Lead Member for Energy and Environment on the Council’s Transportation, Infrastructure, Energy, and Environment Committee and is a member of the Public Safety Committee. He also serves as the Council’s representative to the County’s Sustainability Working Group and Green Economic Task Force. Regionally, he is on the Washington Regional Board of Directors of the Council of Governments, and serves as Vice Chairman of COG’s Climate, Energy, and Environment Policy Committee. · Sponsoring and passing several major energy/environmental initiatives that include the groundbreaking Home Energy Loan Program, a tax credit for solar energy, and a consumer measure that gives homebuyers information on how much their new home will cost to heat and cool, as well as sponsoring a first in the country “carbon tax” that would be paid by the largest polluters in order to compensate the County for its investment in greenhouse gas reduction programs. 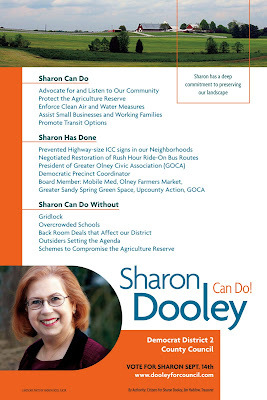 · Successfully fighting to protect our quality of life by sponsoring and passing comprehensive McMansion reform; preserving the open space at the heart of Bethesda on Woodmont and Bethesda Avenues; preserving the historic viewshed of the C&O Canal from unsightly development; and sponsoring legislation to preserve farmer’s markets. · Strengthening our local economy by working with the County Executive’s team to provide small businesses with access to capital; creating good “green” jobs in Montgomery County; being a leader in the remaking of White Flint, which is estimated to produce $6-7 Billion in additional county revenues; and sponsoring a resolution that would create a Joint County Executive/County Council Commission on Restructuring County Government. Twenty years ago at this time – much like this year – a first-term Montgomery County Executive was cruising into reelection, with no real challenger in sight. Then, two hours before the candidate filing deadline, five-term County Councilmember Neal Potter shocked locals by postponing his previously announced retirement plans to enter the race and take on a seemingly unbeatable incumbent, in Sid Kramer. Riding a “slow growth” wave of the time, Potter pulled off a stunning upset over Kramer in the September primary. He then went on to an easy victory in November – even beating Kramer again, as he launched an ill-fated, write-in campaign. And the rest, as they say, is history. But what may be more interesting are the many ways that the county’s history and political landscape were altered, as a result of that fateful 1990 election. One of the greatest aspects of Frank Capra’s holiday classic, It’s a Wonderful Life, is the way the lead character, George Bailey, was given a magical chance to see how things may have turned out if he was never born. Implicit in that were the lives that he touched and how different the paths of those individuals would have been if George did not exist. 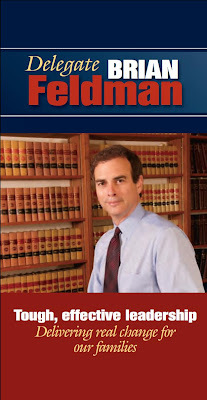 Now let’s see… if Neal Potter had not run for County Executive in 1990… hmmm…. Would Sid Kramer have gone on to parlay a second term as County Executive into, say, a run for Governor? Or maybe into a third term – thereby accomplishing the feat before Doug Duncan could even contemplate a run? 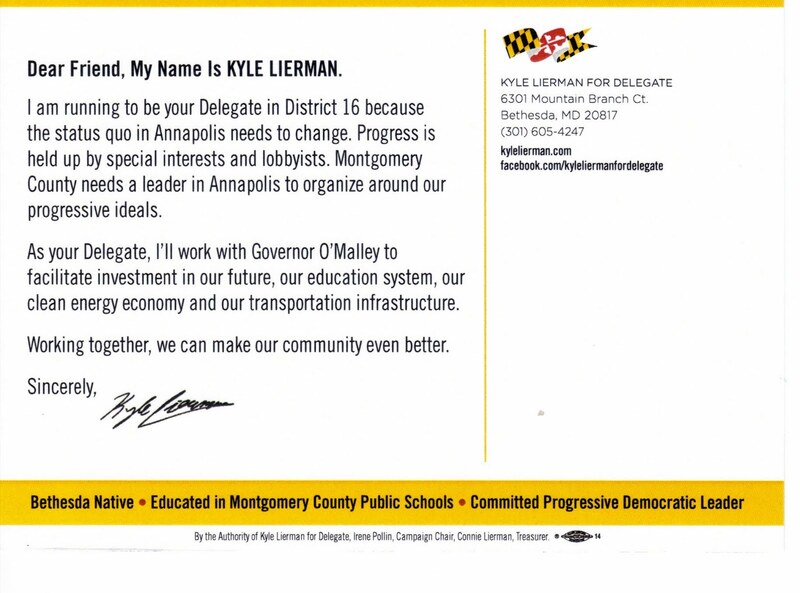 If so, would Sid’s children, Rona Kramer (now a state senator) and Ben Kramer (now a delegate), have ever launched their own political careers? Would General Dynamics have ever really considered setting up headquarters in Montgomery County, if Potter had not made some now infamous, dismissive remarks about whether we needed or he wanted the defense contractor giant here anyway? Much like the Northrop Grumman move of 2010, many observers say the company was never really seriously considering Maryland over Virginia, but that the most lasting impact of the decision was in the negative way it seemed to characterize the local business climate. Would Potter aide Gene Lynch have ever launched a public service career that would include the following collection of high-level stints: Special Assistant to the County Executive, Montgomery County Chief Administrative Officer, Secretary of General Services for the State of Maryland, and Montgomery County Planning Board member? Would Bill Hussmann – top aide to the first-ever Montgomery County Executive, James Gleason – have ever resurfaced onto the county scene to become chief administrative officer under Potter, and eventually be appointed Chairman of the Planning Board? Would former County Councilmember (and current Leggett aide) Bruce Adams have been able to follow a more achievable path to becoming County Executive in 1994, if he was running as someone other than the “anointed” successor to Potter? Would then-Planning Board Chairman Gus Bauman have ever launched an upstart run for County Executive in the open-seat 1994 election, as Potter – often labeled the “10th County Councilmember” – stepped away from the County Executive job to run for County Council again? Most observers contend that Bauman’s third-place finish in the primary election siphoned off enough Bruce Adams votes to propel Doug Duncan to victory. Would Andy Sonner (former Montgomery County State’s Attorney and Kramer rival who reportedly commissioned a poll in that summer of 1990, indicating that he didn’t have the name recognition to challenge Kramer, but that perhaps 20-year Council member Neil Potter did?) have run himself for county executive against Kramer, just for spite? And if he did so and lost, would he have never been in position to realize his later career accomplishment of being appointed as a judge? Would Montgomery County look different today if Neal Potter had never sent legislation over to the County Council to strip the County Executive (including himself, during his term) of the power to appoint members of the Planning Board and to craft a recommended annual growth policy? -- Steve Simon is an independent public relations consultant. In 1990, he was a Montgomery County public information officer, who will never forget the shock of those gathered in the election press room, when it was announced that Neal Potter had pulled off his stunning upset. ROCKVILLE, Md., June 21, 2010—Montgomery County Councilmember Roger Berliner announced today that the Leggett Administration has agreed to make the Jane Lawton Recreation Center in Chevy Chase the site of the Division of General Service’s first solar roof program. Councilmember Berliner, in collaboration with the Town of Chevy Chase, has been working for more than a year with local solar cooperative members and the Montgomery County Department of General Services to honor this facility and Jane Lawton in this way. Councilmember Berliner has been urging the County to make the Lawton Center a model for the County’s program to retrofit more public buildings with solar energy. In May, Councilmember Berliner wrote to the Department of General Services “in hopes of speeding up progress on a no-cost option to install solar panels on the Lawton Center in Bethesda.” The County announced today that it had agreed to the solar panels. The Lawton Center, which was formerly known as the Leland Community Center, is located at 4301 Willow Lane within Leland Neighborhood Park in Chevy Chase. The building serves as a recreation center and houses the Town of Chevy Chase offices and a Day Care Center. In 2009, the center was renamed to honor Ms. Lawton, who worked her way from PTA volunteer to mayor of the Town of Chevy Chase to Maryland delegate representing District 18. In addition, Director Dise has indicated that the project will qualify under the local small business initiative and that this work will be reserved for local vendors. In all probability, this is the last original post I will be writing for Maryland Politics Watch for the foreseeable future. I owe it to all of you to explain why. It’s actually pretty simple. Two endeavors occupy nearly my entire life. In the first endeavor, I work for an international union (the Carpenters) as its sole researcher. I am responsible for investigating corporate, economic and academic issues throughout the United States and Canada. I travel frequently. My “office” is often nothing more than a cell phone, a laptop, a rental car and a never-ending series of randomly located hotel rooms. I do whatever I have to do to perform this job as well as I possibly can. Every spare minute that I can find goes to my second endeavor, which is writing Maryland Politics Watch on an unpaid basis. I owe a great debt to everyone that has aided me in this, especially my precious spies. Even though I write the blog at night and on weekends and program the content for daily viewing, it requires almost as many hours as my job. If that were not the case, then the quality of the work here would not be high enough to create and sustain the audience that this blog has. Caught between these two activities is my family: my wife Holly and my one-year-old son Andres. Tragically, I have spent more time working on the blog than I have with my son. Andres Pagnucco trying to get his Dad's attention. So long as I have both a very demanding job and a very demanding blog, I cannot be the husband and father that my family deserves. So I have to choose. And right now, I am choosing the job that puts food on my son’s table. That, of course, is not the blog. Some may wonder why I don’t simply “cut back.” It is not my nature to do anything without giving it 100% effort. I’m just not made that way and I can’t change. If I had one wish for MPW readers, it is that they could see the political process as closely as I have witnessed it. It’s really not about third readings, zoning text amendments, committee votes, task force reports, staff memos or any of that. It’s all about the people who participate in government decision-making. I have come to know these people better than anyone – perhaps, even better than they know themselves. They are a fascinating group. Elected officials are not the cardboard, All-American baby-kissing characters they try to become at election time. Nor are they all evil, money-grubbing con artists as they are frequently portrayed by the media. Yes, many of them are insecure, needy, egotistical and overly sensitive, though there are plenty of exceptions. A few of them are even paranoid, arrogant and self-obsessed. But the vast majority of them enter politics with some spark of good intent in their hearts. Many of them really do have beliefs, and even principles, and are not faking them. Most of them want to perform well. The late Delegate Jane Lawton (D-18) was an example of the very best of politics, and even of humanity itself. What the public never sees are the sacrifices they make. I can’t count the number of times elected officials have despaired in private conversations with me – often very emotionally – about the impact of their office-holding on their families, their careers, their finances, their social relationships outside of politics, their enjoyment of the fun things in life, and even on their emotional condition. Some sacrifice these things for the wrong reasons. Maybe it’s ego or the need to be recognized. These people become little more than the badges they wear on their chests. But some sacrifice these things for the right reasons, like a true dedication to helping others. The really good ones often can’t serve without giving 100%. I sympathize. I wish there was a reliable way for the voters to tell apart the good ones from the mediocre ones and the really bad ones. Now to the blog. I can’t say whether I will ever write again about state and local politics or policy. If I do, it will have to be in a way that is compatible with the economic and personal well-being of my family. No matter how hard I have tried, I cannot make it work under the current circumstances. I may occasionally put up guest blogs, press releases, event announcements, endorsements, videos, photos, literature and the like. (Isn’t it a shame that the mainstream media ignores most of that material?) But I cannot simultaneously be the Walter Winchell of Maryland and an international union corporate investigator and a good husband and father. 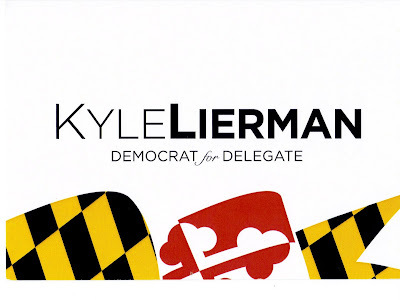 Unless things change, I can no longer write original columns for Maryland Politics Watch. Thank you to everyone, and especially to the great David Lublin, who is the best blog-father an online rapscallion like me could have ever had. The following candidate forums are scheduled for the near future. Description: Sponsored by The Greater Silver Spring Democratic Club in conjunction with The Democratic Club of Leisure World. All Democratic candidates for the Maryland General Assembly in Legislative District 19 have been invited. For more information, please contact either Emily Ackerman at (301) 565-2483, or Paul Mitchell at (301) 588-7126. Description: The Gaithersburg-Germantown Chamber of Commerce is hosting a County Council At-Large Candidate Forum. This race is critical for the business community in Montgomery County. This is a great opportunity for our members to talk with the candidates about their concerns and hear from you on the various issues impacting the business community in Gaithersburg, Germantown, the County, and the State. The debate will feature Councilman Roger Berliner and challenger Ilaya Hopkins. The event is being hosted by the Bethesda CivicCoalition, Edgemoor Citizens Association, and the Downtown Bethesda Condominium Association. Come hear from the candidates for Delegate. The event is being hosted by the District 16 Democratic Club. If you are on Facebook, be sure to join the group "District 16 Democratic Club, Montgomery County, MD"
Description: The Gaithersburg-Germantown Chamber of Commerce is hosting a District 17 Candidate Forum. This race is critical for the business community in Montgomery County. This is a great opportunity for our members to talk with the candidates about their concerns and hear from you on the various issues impacting the business community in Gaithersburg, Germantown, the County, and the State.Free. All members and non-members are invited to attend. Here’s the geographic distribution of page views from the computers used by our readers from May 30, 2009 through May 25, 2010. This period accounts for 602,689 page views, or about 60% of the total traffic in the history of our blog. On a hot Saturday morning Mark Winston kicked off his campaign for Delegate in District 16 in front of over thirty people outside his campaign offices. He was joined by a very special guest who endorsed him, County Executive Ike Leggett. Winston is one of approximately nine challengers in District 16. His speech focused on his priorities including balancing economic development with environmental stewardship, keeping the public school system strong, and a focus on quality of life. He defined quality of life as not just good schools and transportation, and safe communities, but building the type of place that children would want to return to after college, as Winston’s own college graduate daughter is doing. But in a race with so many candidates, Winston also sought to distinguish himself by emphasizing his experience. He cited his fourteen years on the Housing Opportunities Commission, four years on the State Transportation Committee, fourteen years involved with his temple, thirty-three years living in District 16, and thirty-five years as an attorney. He said that while some may view the Delegate seat as a stepping stone, he does not. Winston emphasized that when he goes to the polls, he thinks about which candidates has the judgment, experience, seasoning, and temperament to deal with unforeseen events. In this race, Winston believes he is the candidate who fits that description. County Executive Leggett, who was introduced by District 16 resident Bruce Adams, kicked off that theme before Winston spoke. He said endorsing Winston was not a difficult choice and he was proud to stand shoulder to should with him. In his comments to me before speaking, Leggett said Winston was a longtime friend of twenty-five years and was “not just someone who popped up.” He also expressed his support for Delegates Frick and Lee. Winston’s campaign is being managed by Zack Gallant, who is also working for Senator Mike Lenett and is a veteran of the Cardin and Obama campaigns. Councilman Roger Berliner also stopped by the event, though he said he was not endorsing. 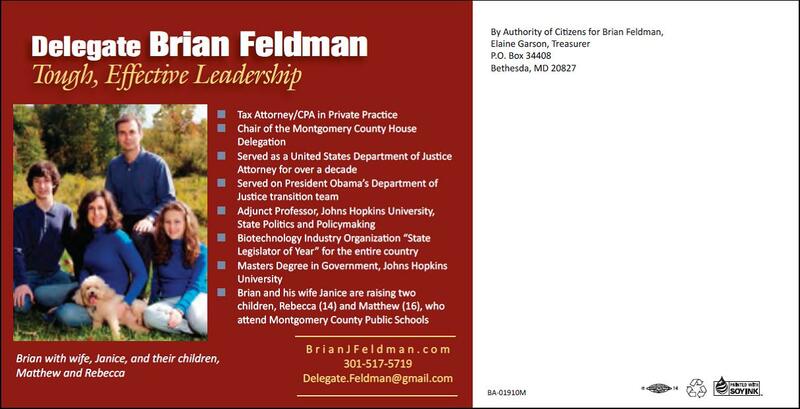 Full disclosure, I am a Montgomery County Democratic Central Committee member from District 16. I have not endorsed Mark Winston or any other challenger. L. Mark Winston, who unsuccessfully sought appointments as a District 16 Delegate in 2002 and 2007, has announced his candidacy for the seat. Following is his press release. Mark Winston, an attorney practicing law in Maryland and the District, Saturday, will formally announce his candidacy for election to the Maryland House of Delegates from the 16th Legislative District. The District includes North Bethesda, Bethesda, Glen Echo, Cabin John and a small portion of Potomac. Winston, a former member and chair of the Montgomery County Housing Opportunities Commission, the county’s public housing and housing finance agency, and a former chair of the State Transportation Commission, a group advising the Governor and Transportation Secretary on policy matters, is making his first run for elective office. Here are the most-viewed MPW blog posts from May 30, 2009 through May 25, 2010. This period represents over 60% of the total page views in the nearly four-year history of this blog. 8. Snap Your Whip at Bethesda’s Pimping Castle! 17. Is WMATA Management Starting to Crack? The Sun and the Post say no. Blogger Steve Lebowitz says yes. Let's be clear: your author would not have released the attack ad that the O'Malley campaign put out on Ehrlich, lobbying and oil because the evidence behind such charges, in our opinion, does not rise to an appropriate threshold of proof. In fact, O'Malley's people have committed a significant tactical error because they have shifted the focus away from Ehrlich and towards O'Malley's truthfulness, thereby hampering their future credibility. Still, the debate over Ehrlich's private sector activity is worth having because his campaign has released so little information about it.